The Sold-Out East Tower of One Archers Place was one of the fastest selling projects of Eton. With the multitude of educational institution along Taft Avenue and the University Belt, One Archers Place offers prime investment opportunity with a strong leasing potential brought about the year-round tenant demand. West Tower of One Archers Place introduces the iPlace. The iPlace units offer a host of amenities to pamper and please, with high-speed cable internet ready capability and provision for Wi-Fi, iPlace give young achievers the power to connect and stay informed. iPlace units also come furnished with an LCD TV, a microwave oven, a refrigerator, iPod dock, among others. These conveniences make iPlace the perfect investment, allowing you to immediately use your unit upon turn-over. Step out to Taft Avenue and the nearby LRT Station and the Metro's CBD are within easy reach. Are you looking for a new place to live that has all of the amenities and features that a young, up and coming professional such as yourself needs? Are you tired of all the same old things that other condominiums have to offer? If you answered yes to both of these questions then the One Archers’ Place is the perfect place for you. 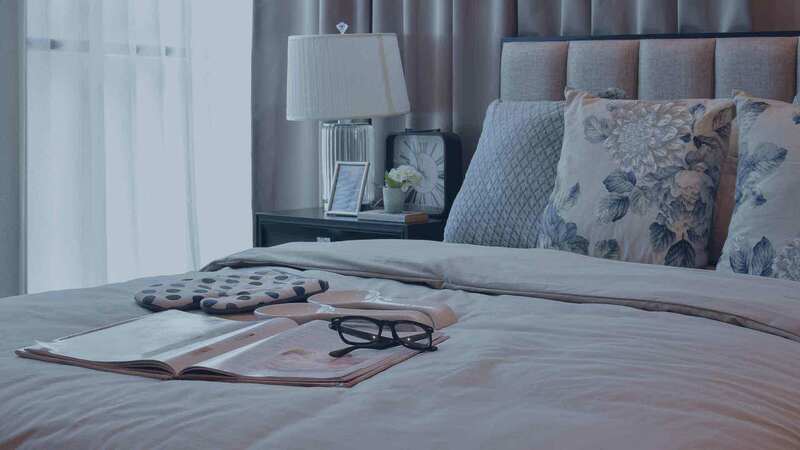 This condominium project, which was developed with the help of the esteemed real estate development company, Eton Inc., is the perfect choice for young professionals who are looking for a home that has all of the modern features that they need. The good thing about this place is that it is nicely situated in the middle of the metropolis. If you are thinking of getting your college-aged children a place of their own so they won’t have a hard time commuting to and from school then this is the perfect choice. Eton Properties Philippines Inc. is one of the most successful and prestigious real estate developers in the country. The company is responsible for some of the largest development projects in the entire Philippines. From villages, condominium buildings, malls, and economic zones, Eton has built every one of them. This time, Eton tried to create a condominium building that is quite unlike anything else in the country. Considering the fact that the company already sold all of the available units in one tower, one can safely assume that the One Archers’ Place is going to be another success story in Eton’s ever growing collection. Located along Taft Avenue in Manila and near the De La Salle University Manila Campus, which is the namesake of the condominium building, One Archers’ Place is a gargantuan condominium complex. It is composed of two, multi-story buildings connected by a two-story commercial-complex podium. This condominium community mainly focuses on giving college students more than adequate living spaces that are near their schools so there is no need for them to endure hours of traffic and just focus all of their energy on their studies. With that said, you should not expect One Archers’ Place to offer spacious condo units that are great for families. These condominium units are minimalistic in design but rest assured that they are not that cramped that the residents could not relax at all. You have two choices when it comes to units in One Archers’ Place. There is the 22 square meter studio-type unit, and then there is the 30 square meter one-bedroom unit. The studio-type unit of One Archers’ Place measures just 22 square meters, and it will require the occupants to live a minimalistic lifestyle. However, rest assured that it is large enough for two people to live in quite comfortably. The unit comes with a complete bathroom (a sink, toilet, and a large shower area), a small, but totally adequate kitchen area (there is a bit of counter space and a place for a small stove and microwave oven, and there are built-in closets and cabinets so storage will not be a problem at all. However, since the space is limited, there is no living room space but in its place is a study area. In addition, there is more than enough space for two twin-size beds and a wall-mounted television. If you are in need for a bit more space and privacy then you must check out the one-bedroom unit. Measuring at least 30 square meters, the one-bedroom unit gives its residents a bit more breathing room. You can use that extra space for a living area, or if you are the kind of person who really takes his studies seriously, use the additional floor space for an expanded study room where you and your classmates can review your lessons. The bedroom area of the unit is also separated from the rest of the unit by a substantial divider, which will give ample privacy for the owners of the units. Yes, the units in One Archers’ Place are kind of small, but do keep in mind that the target market of the condominium and its developers is primarily college students who want to live close by but do not want to stay in a conventional dormitory setting. The great thing about living in One Archers’ Place is that the residents live relatively close to their schools, and it also has the added benefit of providing a bit more privacy and peace because they have to share a common bathroom and dining area. Eton Properties One Archers Place in Manila, Philippines is a premier Condo project available for sale. If you're looking to rent or purchase One Archers Place, then check here first. We have full details of One Archers Place updated regularly as well as everything you need to know about the availing and booking process, broken down into stages that includes selecting a unit, choosing a payment plan and buying your dream home at the right price. For price list, free site tripping or showroom visit, personalized service, model house, unit plans, floor plans, payment terms, CHAT LIVE with an agent 24x7. We are Remax Perfect Homes. Always only buy from PRC licensed Real Estate Brokers and Agents.